Who are the Watch D.O.G.S.? Watch D.O.G.S. are the fathers, grand-fathers, uncles and other father figures who volunteer for at least one day each school year. During the day, Watch D.O.G.S. may work on activities, play games, participate in PE, Art or Music, eat and help students with lunch, assist with traffic flow, and any other assigned activities where thy actively engage with not only their own student, but other Knights as well. 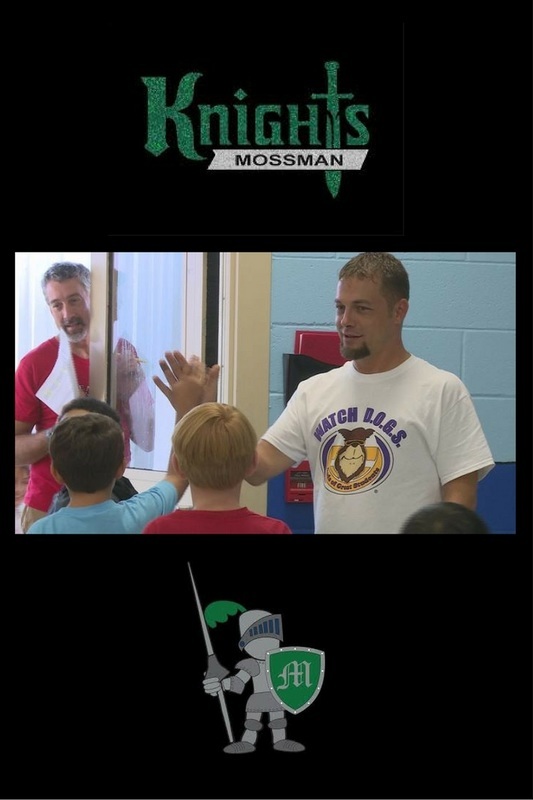 The presence of a father or father-figure enchances a sense of security at the building for students and staff and help create an enviornment conducive to learning. Many students in our district do not have a father-figure present in their home and these students benefit when a positive male role model is present. Fathers get a glimpse of their students' everyday world and learn to relate better and make a stronger connection with their student. It also helps fathers gain a greater awareness of the positive impact they can have on their student's life in three critical areas of including: academic performance, self-esteem, and social behavior. The feedback from our Watch D.O.G.S. volunteers has been very positive and an eye-opening experience. It has given them a greater sense of respect for exactly how much goes on during the school day and how hard the teachers and staff work to help shape the minds of our children for the future. Follow the steps below! We look forward to seeing you in the halls helping to inspire our amazing Knights! CCISD Volunteer Online Application This will take 3-5 business days to process. ​ WILL NOT BE ALLOWED TO VOLUNTEER AT THE SCHOOL! You will pick a day on the calendar using the button below!. These days are first come/first pick. You will be emailed by our Committee Chairperson, with a reminder prior to your date. TO BE A 2018-2019 WATCH D.O.G.S!